This position has been filled. Keep watching for new positions as we continue to grow to meet customer needs! We are looking to hire an Account Rep 1 for our office in Moorestown, NJ. This person will review the hundreds of new races that are created on our website each month and look for ways the race directors can improve their races. They will also contact races to help with renewals. In addition, this person will work with the more senior account reps to collaborate on introducing RunSignUp to more races, timers, clubs and stores. The base salary is $40-50K plus bonus depending on experience. In addition, the company has a profit sharing plan that all employees participate in. Health insurance is company paid, plus a $2,000 HSA contribution by the company. The company also has a Simple IRA and pays up to 3% of an employees salary as a matching contribution. 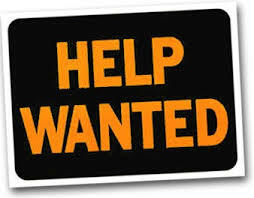 If you think you can help our customers, please send a resume to bob.bickel at runsignup.com. You’re killing me down here in the Carolinas. I would love to become part of your team, but I’m afraid the commute would use up all the extra income. Maybe by the time I retire in a few years, you’ll be expanding down South. Respectfully (and just kidding about you’re killing me).